Asics Gel Advance 6 Cricket Shoe is an extremely lightweight shoe with top level cushioning and gel, that makes this an extremely comfortable shoe.You get the flexibility to play every shot in your armory and plenty of cushioning to keep on doing it ball after ball. Asics Gel Advance 6 Cricket Shoe is an extremely lightweight shoe with top level cushioning and gel, that make this an extremely comfortable shoe. When the bowler’s walking back to his mark, if the only thing on your mind is clearing the ropes then the GEL-ADVANCE 6 is here to help you take your game to them. You get the flexibility to play every shot in your armory and plenty of cushioning to keep on doing it ball after ball and you don’t need to worry about the odd yorker as it is fittted with a tough guard wrapped around the front of the shoe to protect your toes. 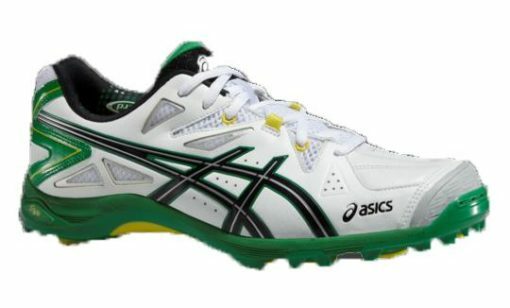 Altogether, Asics Gel Advance 6 is in fact one of the best cricket shoes in it’s category.